Because of Her, We Can! This is the theme of 2018’s NAIDOC Week, held nationally from 8 July to 15 July. The theme acknowledges and celebrates the integral role Aboriginal and Torres Strait Islander women have played – and continue to play – as pillars of our society at all levels. Aboriginal and Torres Strait Islander women are leaders, trailblazers, politicians, activists and social change advocates. Aboriginal and Torres Strait Islander women fought and continue to fight, for justice, equal rights, our rights to country, for law and justice, access to education, employment and to maintain and celebrate our culture, language, music and art (naidoc.org.au, 2018). Bravehearts is fortunate to have many inspirational, trailblazing women on our side, fighting to protect the children of Australia from the crime of child sexual assault. 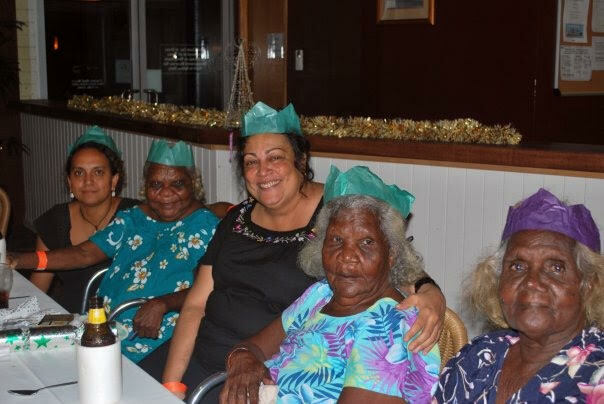 One of these women is Georgina Richters – Queensland Director of PricewaterhouseCoopers (PwCs) Indigenous Consulting (PIC), and a Director on Bravehearts’ National Board. Georgina is a Luritja woman who grew up, and stills lives in, Brisbane. She has worked in leadership roles in the private (resources, management consulting), public (local, State and Australian government) and not for profit sectors, and is passionate about delivering innovative community-based solutions that protect, restore and build positive lives particular in Aboriginal and Torres Strait Islander communities across Australia. When it comes to inspirational women, Georgina says she has had many role models in her life, not just Aboriginal and Torres Strait Islander Women. “I am lucky to have had a large number of women mentors, starting with my darling mother Bette, and many women who I work with now and in the past, women who work every day, raise their families, my best friends. I have been very lucky to have known and still know so many remarkable women,” she says. “As far as Aboriginal women, I have always admired and had the greatest respect for Jackie Huggins and Lowitja O’Donoghue and the tireless work they have done and continue to do. I love Evonne Goolagong Cawley and Cathy Freeman and what they have achieved in sport. The late Thanakupi, world renowned potter and artist from Western Cape York who I had the privilege to meet and call my friend, and Oodgeroo Noonuccal, world renowned poet and the first Aboriginal poet to publish a collection of verse. Georgina also points to Bravehearts Founder and Executive Chair, Hetty Johnston AM, as a source of inspiration.